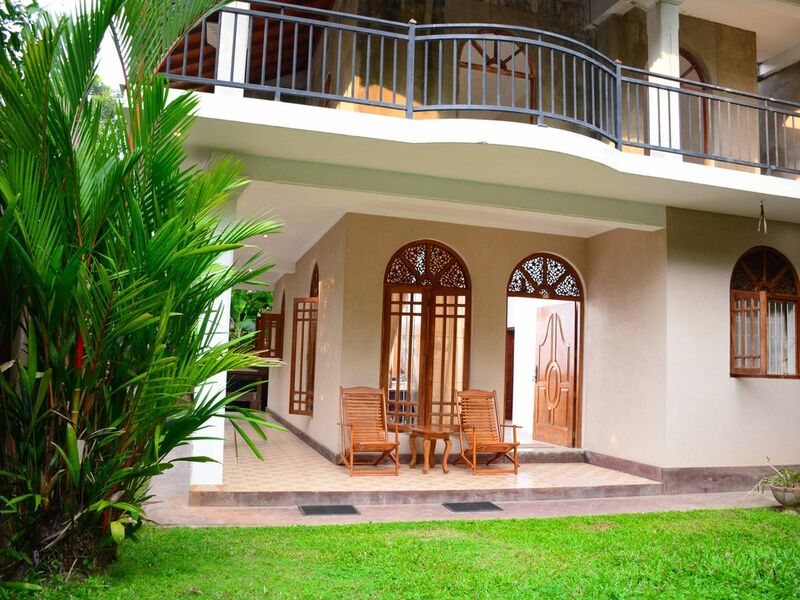 Villa Tujan is just 700m away from the World famous Hikkaduwa Beach, where swimming, snorkeling, diving and sea bathing is safe throughout the year. The property has two air-conditioned bedrooms, one bathrooms with hot & cold water, a fully equipped kitchen, a dining area, a lobby and a small garden. Villa Tujan is ideal for solo travelers, couples, business travelers, families (with kids). The villa is offered on an entirely exclusive basis, and accommodates up to 4 people in your own private group. Free WiFi with high speed internet access throughout the villa and garden. The fully equipped kitchen consists with oven, juice maker, grinder, toaster, tea / coffee making facilities, washing machine, refrigerator, and all cutlery and cookery equipment. Safety lockers, hair dryer and B.B.Q facilities are also available. Full cleaning service will be provided every 4 days with fresh towels and linens. Check -in/check-out time - 12 noon. All major currencies are accepted.